Outdoor Entertaining DIY table ideas! - Great ideas for enjoying your patio space. Outdoor Entertaining DIY table ideas! Outdoor Entertaining does not have to be expensive. 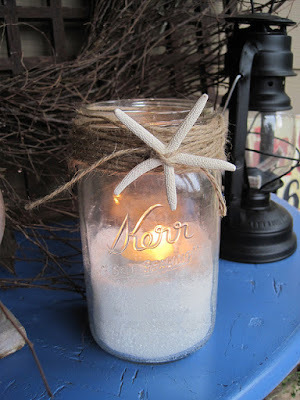 With a little bit of time and some basic materials you can create some great table decorations. 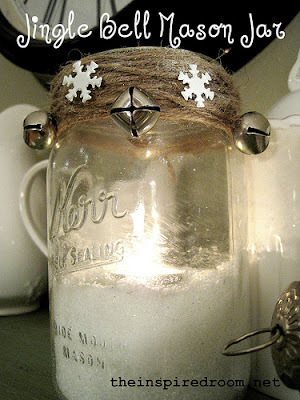 The mason jar idea from theinspiredroom.net can be used more many themes by just changing what on the inside and outside of the jar. 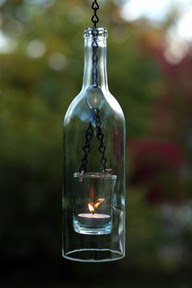 Hang onto those wine bottles-so many new ideas are floating around the internet and can be used for outdoor entertaining. Check out the one below!